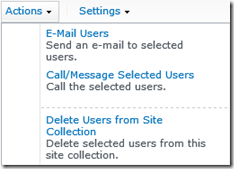 This post describes how you can remove a user from the User Information List (UIL) in a site collection from SharePoint 2010 and 2013. SharePoint stores user information in the UIL to extract data when this user is being searched by the people picker. 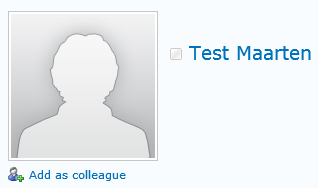 I have created a user “Test Maarten” in the Active Directory and granted him member permissions in SharePoint. I will now delete myself from the Active Directory and navigate back to SharePoint to see what happened. – I can still find “Test Maarten” with the people picker. 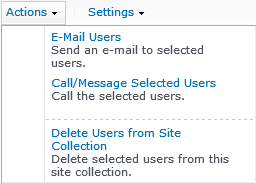 I want to delete this user from the Site Collection so this user won’t be found by the people picker and the permissions will be deleted. Good Maarten, I could follow you and done as required. Thankyou.!! Thanks alot, I removed the user from his group but still could see him in the UIL, using your instructions, I could remove him as needed. What if i just only want to delete the user from the people picker using the user /_layouts/people.aspx?MembershipGroupId=0 by not deleting or disabled user on the active directory. I tried deleting the user from the people.aspx so that it will not show in people picker. I just need specific user to not show up in the people picker, by not deleting or disabled the user on the Active directory, it this possible? Just move the disabled users to a different OU if possible.